Some say work is the price you pay for money. And Paychex (Nasdaq: PAYX) is in the business of helping employers cut the checks. But pay stubs aren’t the only checks Paychex is cutting. It also cuts dividend checks. Last month, Paychex gave its shareholders a 12% raise. It increased the quarterly dividend to $0.56 from $0.50 per share. Today, the stock sports an attractive 3.5% yield. Will shareholders continue to cash checks in the future? 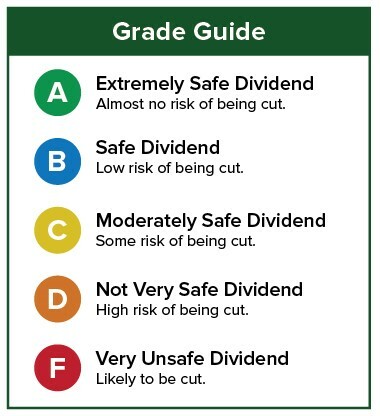 Let’s take a look at Paychex’s dividend safety to find out. Paychex is a payroll processor. It also provides human resources and benefits outsourcing services to its clients. These services are critical to small- and medium-sized employers. They don’t have the trained staff. Employees expect to be paid on time every time. And Uncle Sam also expects to receive his piece of the pie in the form of payroll taxes. That’s where Paychex comes in. It makes sense that as the labor market improves and more people are hired, the need for Paychex’s offerings goes up too. Paychex’s fiscal year ends on May 31. So its 2017 results don’t include much of the recent hiring boom. In 2017, Paychex generated $857.5 million in free cash flow. In 2016, its free cash flow was $911.5 million. It actually fell 5.9%. The company still generated enough cash to cover the $323.4 million it paid to shareholders in dividends. That number was just 35.5% of free cash flow. Free cash flow is expected to turn around this year. Wall Street expects it will be up 25.95% in 2018 to $1.08 billion. Analysts expect Paychex’s cash to rise in 2019 as well. It’s expected to rise 4.6% to $1.13 billion. Paychex will benefit from rising interest rates too, as it collects interest on the funds it holds for clients. The company has consecutively raised its dividend since 2012. And right now, it shows no signs of stopping. The dividend is pretty safe today, but look for an upgrade soon when it closes the books on 2018. Buffett could see this new asset run 2,524% in 2019. And he's not the only one... Shark Tank Personality Mark Cuban says "it's the most exciting thing I've ever seen. "… Facebook CEO Mark Zuckerberg threw down $19 billion to get a piece... Microsoft Founder Bill Gates wagered $26 billion trying to control it... What is it? It's not gold, crypto or any mainstream investment. These mega-billionaires have bet the farm it's about to become the most valuable asset on Earth. And if you act fast, you could see tremendous returns before the year is up. Click here for immediate details.